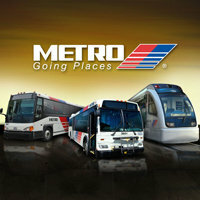 Metro was able to do this because Gilbert Garcia is a phenomenal negotiator. Under Gilbert, Metro turned a possible tens of millions in cancellation fees for the Spanish rail car contract cancellation into a $14 million refund from the car maker. Gilbert did this on his own–no mediator, no lawyers. We are lucky to have Gilbert at the helm of Metro–and we can only hope that in 2021 he will be elected Mayor!